Oghenekaro Etebo said Ronaldo is very hardworking and he admires him but Messi is just magical. 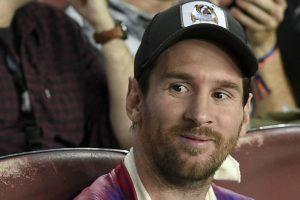 Lionel Messi was again left out of the Argentina squad announced for two friendlies against Mexico later this month, while players from Copa Libertadores finalists Boca Juniors and River Plate were also ommitted. 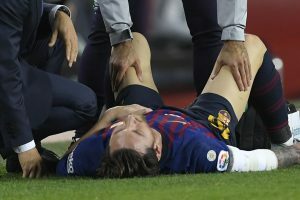 Barcelona superstar Lionel Messi on Wednesday returned to light training on the field and performed mobility exercises, 11 days after fracturing his right forearm during his side's 4-2 La Liga win over Sevilla. 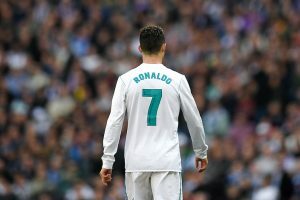 Continue reading "Barca, sans injured Messi, holds last training session for El Clasico vs Madrid"
Barcelona coach Ernesto Valverde said on Saturday that the absence of Barça superstar Lionel Messi and ex-Real Madrid forward Cristiano Ronaldo from the upcoming El Clasico duel at Camp Nou will not make the match less interesting. 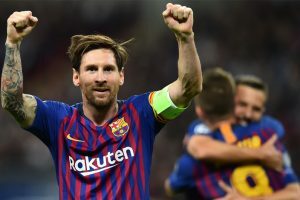 Barcelona will miss Lionel Messi on Sunday - his goals, his dribbles, his presence as much as anything - but the angst will be gone with the help of three weeks' rest and a sling. Rafinha replaced Lionel Messi and helped Barcelona win without him as the Brazilian scored the opener in a 2-0 Champions League victory over Inter Milan. 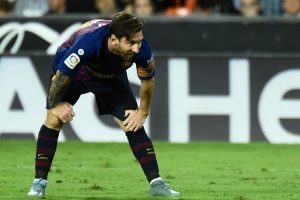 FC Barcelona coach Ernesto Valverde admitted his side will miss injured striker Lionel Messi, but hopes that others can help compensate for the loss of the Argentinean. 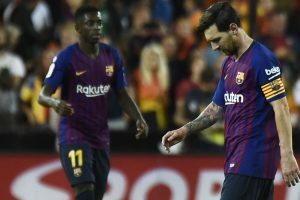 Barcelona's lowest ebbs are invariably followed by questions about Lionel Messi but the issue of over-reliance may become clearer over the coming weeks. 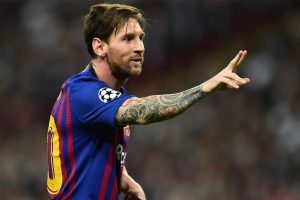 Lionel Messi is expected to be out for three weeks with a fractured right arm but his last contribution was to help send Barcelona back to the top of La Liga on Saturday. 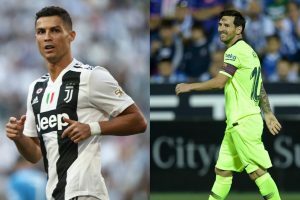 Continue reading "Messi named best La Liga player in September"
Counted among the greatest of all time by many, both Ronaldo and Messi are now in their 30s. 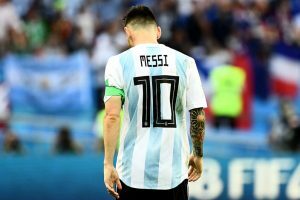 "You have to take the leadership away for him to be the Messi we want him to be," Maradona added. 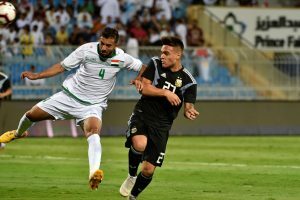 Inter Milan's Lautaro Martinez opened the scoring in the 18th minute with a near-post header from a left wing cross by Marcos Acuna. Messi had Monday posted a video of himself wearing the shirt and juggling what appeared to be a red clown nose. The 31-year-old hasn't played for Argentina since the World Cup and speculation is rife he could retire for good. 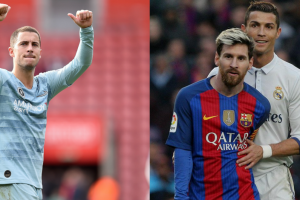 Barcelona, which has failed to win its last four La Liga matches, is set to host Sevilla on October 20.